Unlike gold and precious metals stocks, silver did not break out strongly on Thursday  although it rose, it did not break out at all, nor was volume exceptional, as we can see on its latest 6-month chart below. However, this is not a cause for concern, because in the early stages of sector bull markets gold leads, so we can expect silver to “follow suit” shortly. 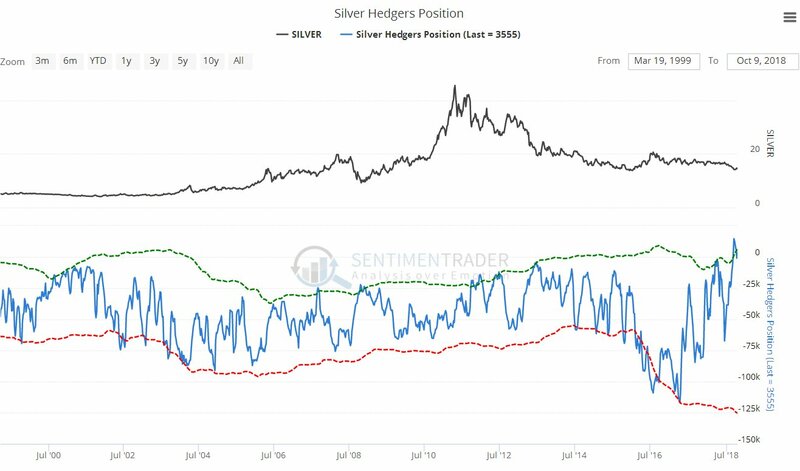 This is worth knowing, because it means that it is still possible to pick up a lot of silver stocks (and ETFs) at knock down silly prices before it really starts to move. 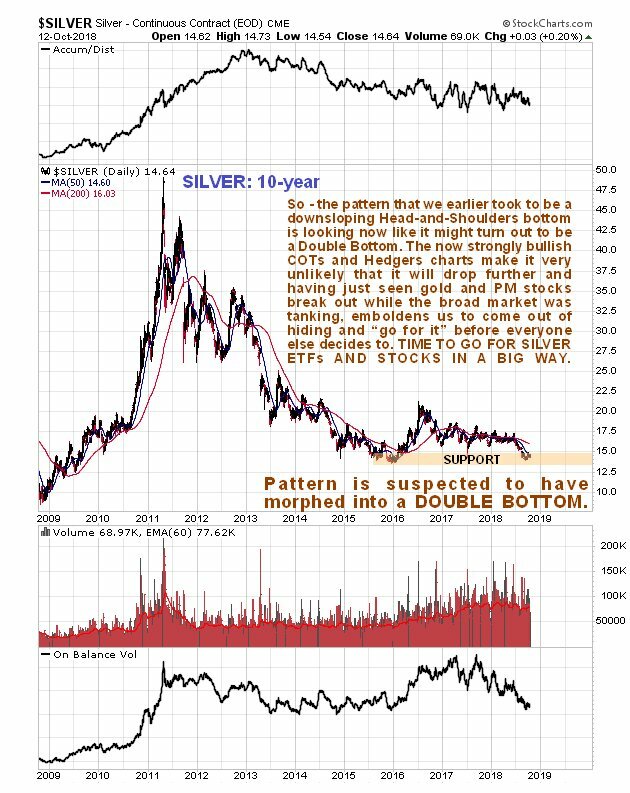 Silver’s latest COT chart, like gold’s, is most encouraging too, with the dumb and wrong Large Specs emboldened to try shorting it again  good luck with that. 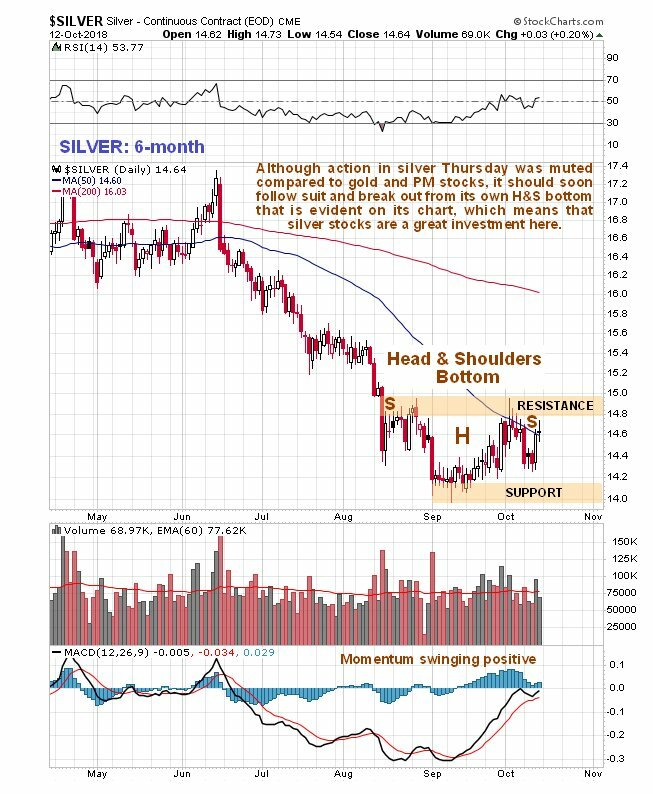 On silver’s latest 10-year chart we can see that the pattern may have morphed from what we earlier  and erroneously  thought was a downsloping Head-and-Shoulders bottom into a potential Double Bottom. It should turn up, especially given what gold and PM stocks did late last week. 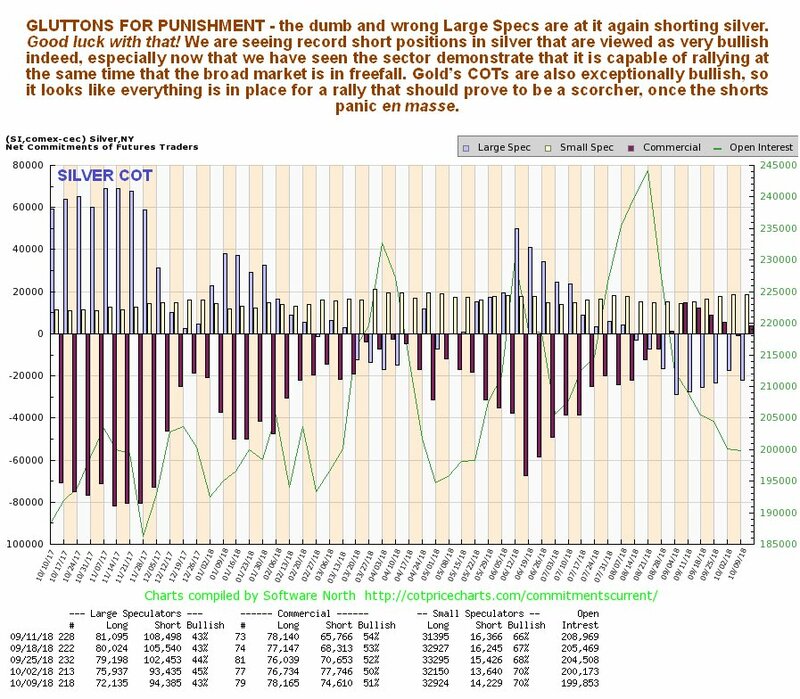 While this chart viewed in isolation doesn’t look too inspiring, you will feel a lot better about it after you take into consideration the powerfully bullish COTs and Hedgers charts that we looked at above.